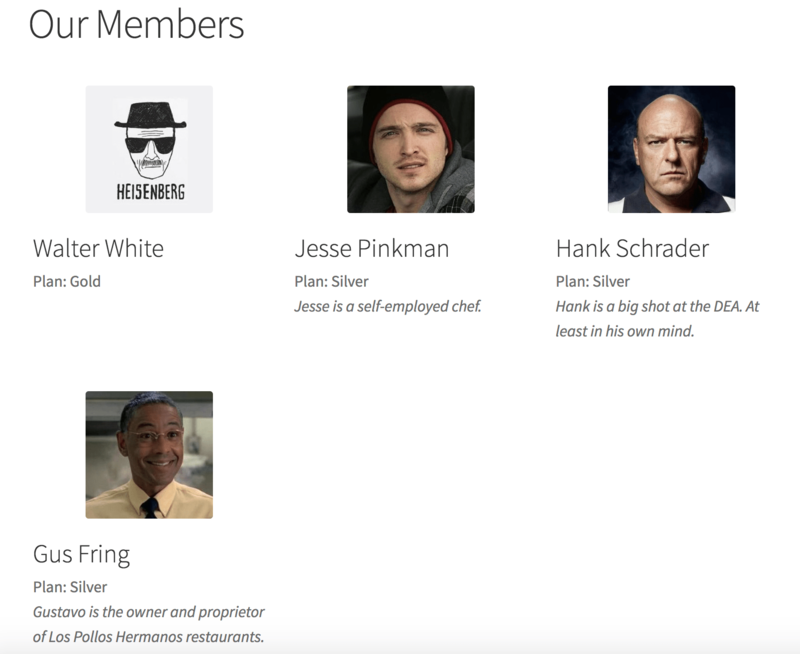 This plugin provides the ability to publicly display members on your site within a directory. A new [wcm_directory] is available after installation to output your member lists. You can opt to show members of only certain plans or statuses, and this shortcode can be included in a restricted page as well to keep it private for members if desired. This shortcode will show a paginated list of members for your site. By default, all active members are included. This would show members with active or complimentary status in the silver or gold plans (24 per page) without biographies, with avatars at 90px each. Please double-check that your shortcode is using the correct format and arguments. It’s also important to ensure that, if you’ve copied and pasted the shortcode, that you re-type it. Sometimes copying a shortcode with quote characters will not render properly when pasted. To rule out plugin conflicts, please deactivate all plugins except WooCommerce, WooCommerce Memberships, and WC Member Directory Shortcode, then re-check the shortcode output to see if the issue has been resolved. If you still see an issue with output, please switch to a default theme, such as Twenty Seventeen, and view the shortcode with the default theme and no other plugins. These steps resolve almost any display issue. If you’re looking for assistance with customizing the directory output or display, we recommend reaching out to Wisdm Labs or Codeable for assistance with these sort of projects.